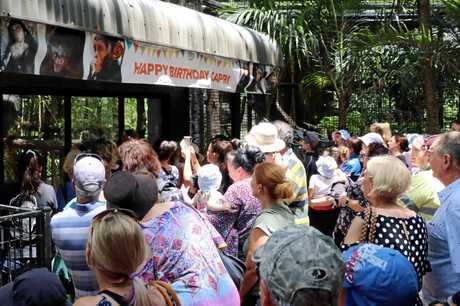 THE crowd gathered around the chimpanzee enclosure at Rockhampton zoo yesterday, singing "happy birthday Capri”. 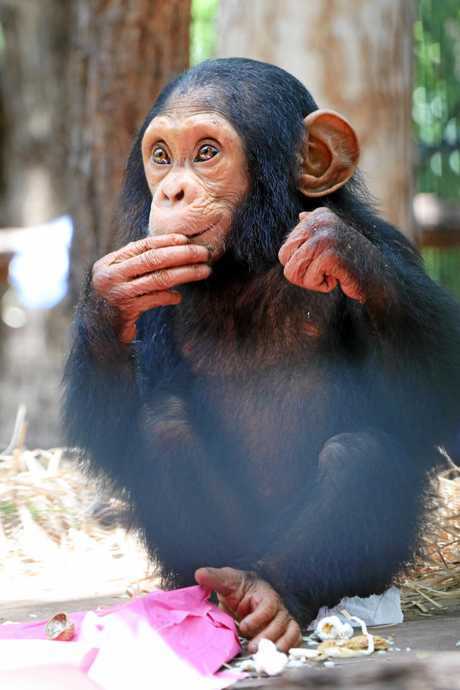 Despite typical humid Rockhampton weather, many locals and their children and grandchildren came to celebrate the baby chimp's first birthday. Among the group was Harold and Glenda Underhill, who took their granddaughter, Mia, 3, along for the morning. Mia was quite excited to see the chimp and liked watching her open her "little monkey toys” in her presents. 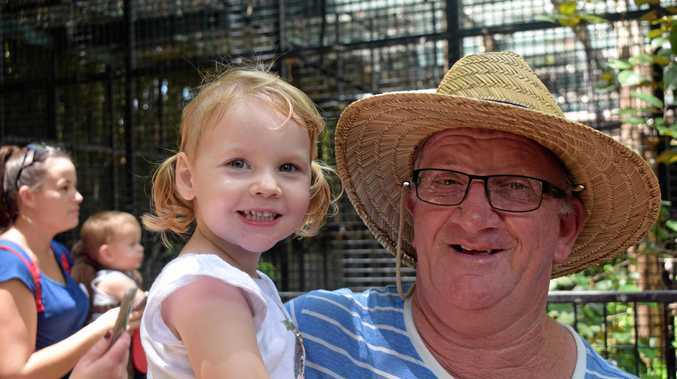 The couple take their grandchildren to the zoo from time to time and said it's a really good and well set-up facility. Mia's favourite animals include the koalas, "the big” crocodile and the wombats. 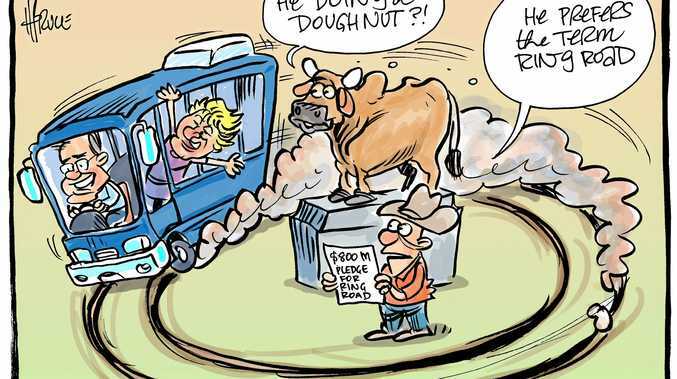 "Everything is nice and clean, they do look after it... it's somewhere to take the grandkids where it doesn't cost you anything,” Grandma Underhill said. "It's just fabulous and you can see by the crowd here today just how special she is to the community, the fact they have been a part of all of her milestones and now being able to join in on her birthday. Cr Rutherford said there was a young playgroup with a girl who had turned one on Monday. She said it's great to see them celebrating with Capri and they can follow milestones together. "Capri is walking, talking, doing all the right things and Leakey is just the perfect mother,” she said. "Her excellent development is testament to the outstanding team of staff and volunteers we are lucky enough to have here at Rockhampton Zoo. 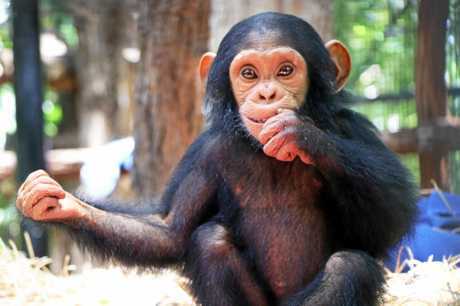 Visitor numbers have grown by 60 per cent since Capri's birth with an extra 70,000 visitors flocking to the zoo. "It's fabulous because that means Rocky is becoming known,” Cr Rutherford said. 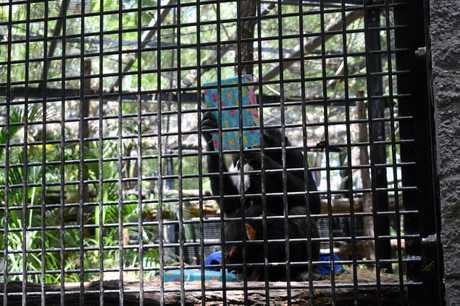 A sausage sizzle and raffle was held yesterday with the funds going to the Jane Goodall Institute Australia, which works to protect chimpanzees and restore habitats.